Agrotechnomarket.com - Agriculture is among the most profitable investments since it has huge returns gained for a very short time. But, risks in agriculture are multiplicity. Farmers even seem to face an increasing number of risks due e.g. extreme weather, price liberalisation, the occurrence of epidemics in livestock, and new plant diseases. To be on the safe side, farmers take agriculture insurance to safeguard their investments. At the same time, however, also the insurance opportunities to cope with risks increase. There are many insurance companies offering such services to farmers. For instance, the availability of satellite data and advanced crop models lead to innovations in crop yield insurance. 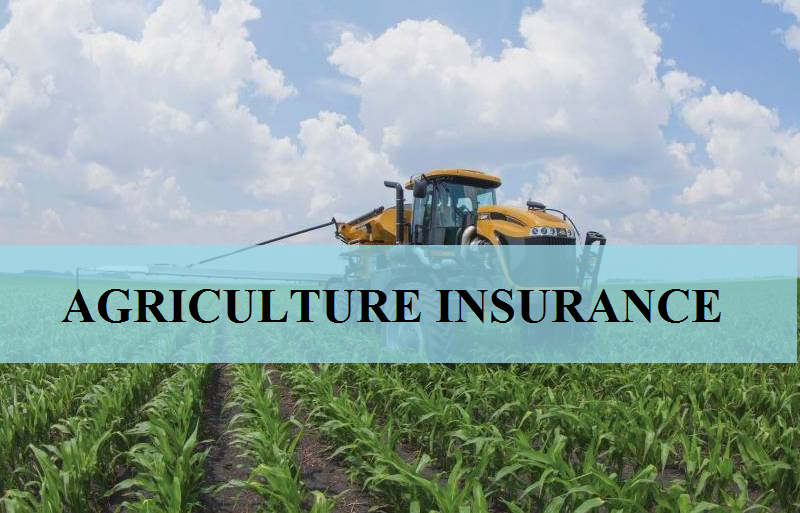 Agricultural insurance, also well-known as crop insurance is paid out by agricultural producers, including farmers, gardeners, ranchers and others. Insurance for agriculture plays an integral role in managing risk for the modern American farmer. 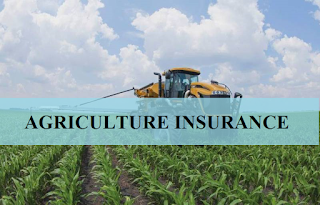 Agriculture insurance is an important part of investment and it will protects against either the loss of crops because of natural disasters, such as hail, drought and floods, or the loss of revenue due to declines in the prices of agriculture commodities. Farmers who take insurance policies protect against any misfortune in future. There are two various of crop insurance in the United States, namely multiple peril crop insurance (MPCI) and crop-hail insurance. MPCI is the oldest agriculture insurance and most common form of federal crop insurance. MPCI policies must be paid out prior to cultivating and cover loss of crop yields from all types of natural causes including drought, excessive moisture, adverse weather, fire, pest diseases, freeze, earthquake, volcanic eruption and failure of irrigation water due to unavoidable causes. Newer coverage options combine yield protection and price protection to insure a certain revenue percentage of crop production, whether due to low yields or changes in market price. Crop-Hail policies are provided directly to farmers by private insurers, not a part of federal crop insurance. Crop hail insurance is a type of insurance that insures against loss of crops due to hail. In just a matter of minutes, hail can threaten farmer's crops, planted field and livelihood. In areas of the country where hail is a frequent event, farmers often purchase a Crop-Hail policy to protect high-yielding crops in a few acres. Unlike MPCI, a Crop-Hail policy is available to purchase at any time during the growing season. So, crop hail insurance is a helpful option for framers that can supplement multi-peril crop insurance policy. In the last years it has become clear that the previous generation of farmers in the world grew up in a relatively stable risk environment but that current and next generations are confronted with an increasing number of risks. Because of that, we are waiting the role of public policy in the provision of agricultural insurance in the future. It was undoubtable that the insurance of agriculture is to help in fighting poverty. A natural disaster is unpredictable that kills their crops, animals and other farm inputs. It can be happened any time, farmers who have invested heavily in agriculture gets their investment destroyed. If the farmer had bought the insurance premiums for their agriculture businesses, the companies compensate them. By paying, the insurance premium that is affordable, farmers recover their losses so they will get peace of mind in that if anything happens to their investment. With money paid out, they are in place to reinvest in cultivating and other agricultural activities making them rich again. A good farmer involves investment in modern technology including machines and tools. Agriculture insurance taken against the crops and livestock allow farm managers to open up for new technologies of agriculture in the market. Every year, there are new technologies of agriculture invented to help farmers get more produce their yields. Since the new investments are risky, insurance packages help the farmer to try new technologies of agriculture. The agriculture insurance allows farmers to get insurance covers for the new agriculture technologies such that if they fail, farmers will not get losses as the insurance company recovers them. In many countries like the European Union has expressed an interest in the development of agricultural insurance programs since 1998. The government tried to help farmers produce more such that they are self-reliant in food productions. To make many farmers go into more risky agriculture production methods and help them to manage their exposure to yield, the EU reached a new agreement on Common Agricultural Policy (CAP) that reforms emphasizing agricultural insurance or mutual fund schemes and make lower the price for insurance by subsidizing. 1 Response to "Agriculture Insurance: Types and Benefits"
I wish more writers of this kind of substance would take the time you did to inquire about and compose so well.